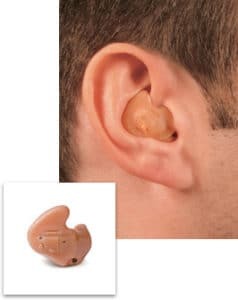 An RIC hearing aid consists of a tiny housing containing all electronics except the receiver, which is positioned behind the ear. A thin tube connects the housing to the receiver, which is worn in the concha (bowl-shaped portion) of the ear. 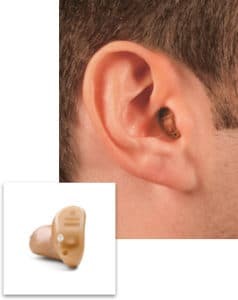 The most popular style of hearing aid (about 60 percent of users choose this type), a BTE device is curved to match the contour of the ear and rests directly behind the ear. 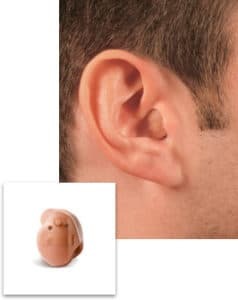 The housing, which contains all the electronics, is encased in plastic and connects to the ear canal with a thin, clear tube or ear mold. Though more visible than other styles, the BTE is simple to use, making it a popular choice for children. 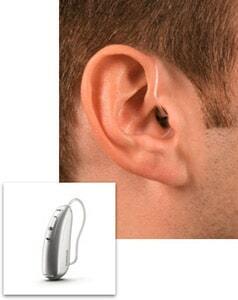 It’s powerful enough for all types of hearing loss. The trade-off is a shorter battery life, and it may prove difficult to adjust for those with poor manual dexterity. 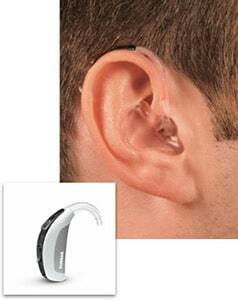 This is a good choice for mild to moderate hearing loss.